A seminary, or training centre for Marist priests, was set up at Meeanee, in Hawke's Bay, in 1890. Because of flooding, it moved to a site nearby at Greenmeadows in 1911, and vineyards were planted around the seminary buildings. 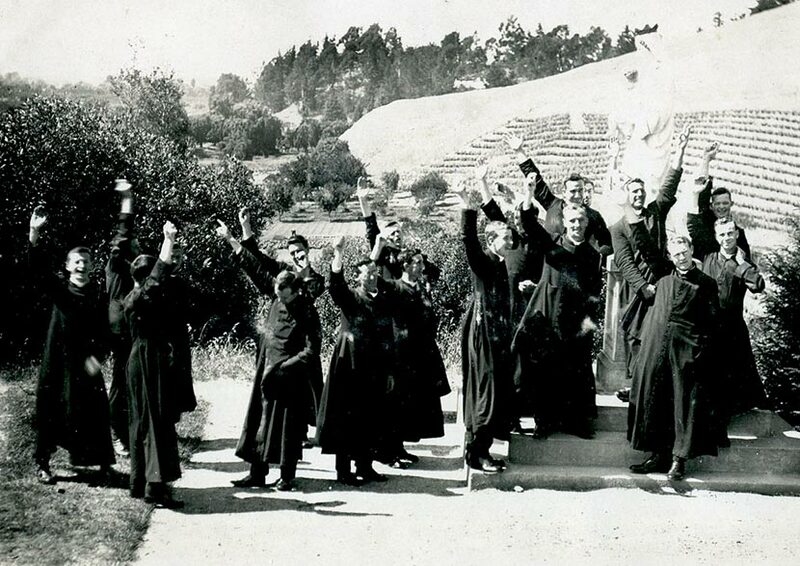 Around the 1920s, when this photograph was taken, the mission vineyard was already well known and the seminarians spent long hours working on the vines as well as on their education. They are shown here celebrating a day off from their studies.